This might be the most incredible news you'll hear today. 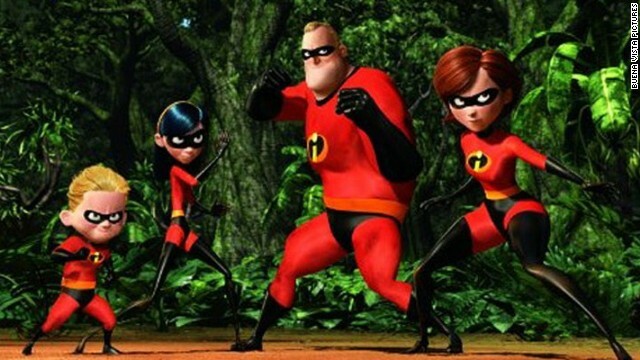 Disney/Pixar's plotting to revive the super-powered family first introduced in 2004's animated hit "The Incredibles." The first installment introduced the Parrs as a typical suburban family with an impressive secret: each of them had a special, world-saving superpower, from super-speed to invisibility to being able to burst into a ball of flames (and that was the baby, no less). When "The Incredibles" bowed in November 2004, it made $70 million in its first weekend on the way to collecting $631 million worldwide. Brad Bird, who wrote and directed the first film, is currently at work on the sequel's script. If you missed out on the film the first time around (and for some reason can't track it down during its repeat airings on cable," Disney's planning to re-release the movie in 3-D, along with "Ratatouille." And because a good Disney franchise can never die, the studio's also planning to roll out a third installment of "Cars." How about something totally NEW and NOT a sequel. Come on Pixar, try a little!